We have been working away on several projects and are excited to share some of our newer websites for one of our favorite clients, Jordan Zwicker. Jordan owns several companies based in Vancouver, BC. 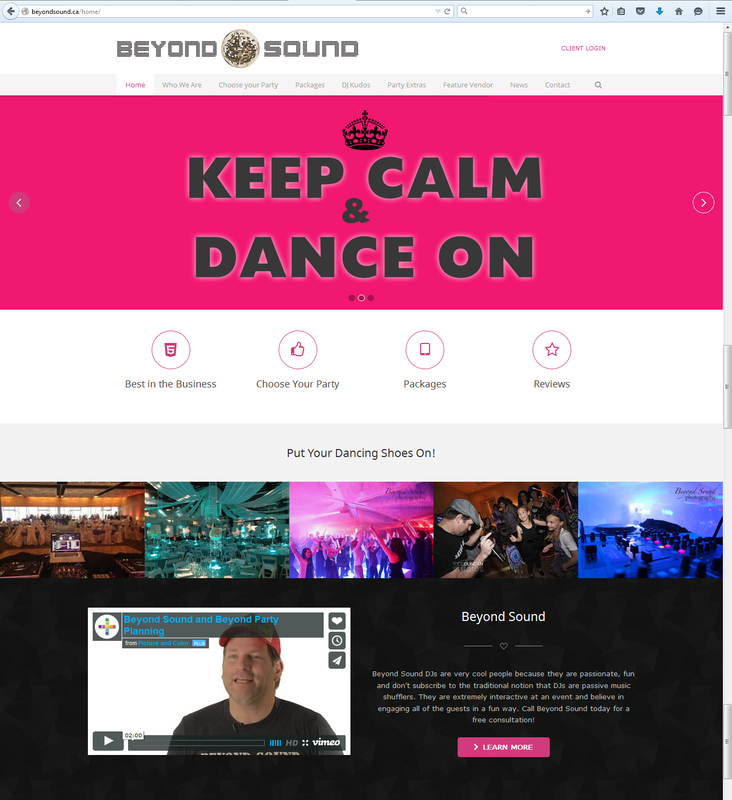 His primary company is Beyond Sound, known locally as Vancouver’s Best Interactive DJ Company. He also owns Beyond Party Planning, Beyond Sound Photobooth, BC Dry Grads and is affiliated with Tattoos for Now as well. Jordan wanted to direct all of his clients to a landing page where they could easily see the various companies he owned as well as capitalize on cross-engagement. Business Assist Canada worked closely with Jordan to create a new website to that was bold, visually stunning and which met all of his business http://pharmacy-no-rx.net goals. The new website now includes a landing page, vibrant and modern design, easy to read layout and a request a quote button for each of the different companies! Not only does the landing page advertise the other companies but each website for each individual company on it’s own is also easy to navigate and promotes the products and services of that company effectively. 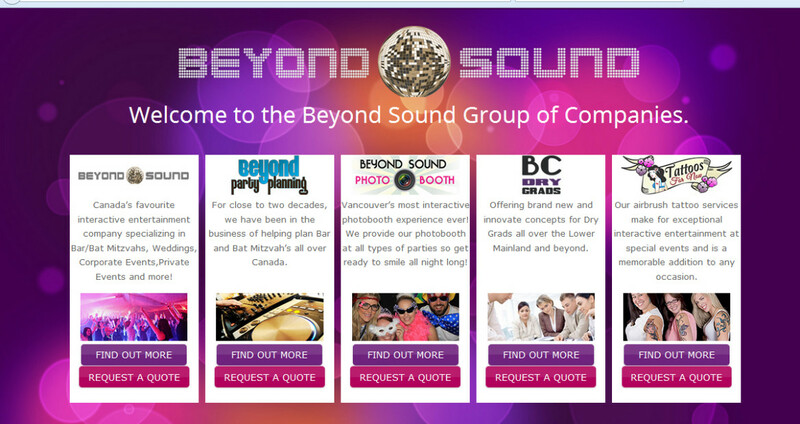 Our client was thrilled with his new website www.beyondsound.ca and we are equally thrilled to continue working with his group of companies. If you need assistance with building a website, be sure to contact Business Assist Canada. We are friendly, easy to talk to you and take pride in building websites that meet your goals!